I've been trying to build content for my site and the one idea I had was to do a bunch of short stories. I also wanted to build a portfolio for me as a writer. The first short I finished was "Sunday at the Park" and shortly after work began on that I started on an original Western script to be the next short for my site. 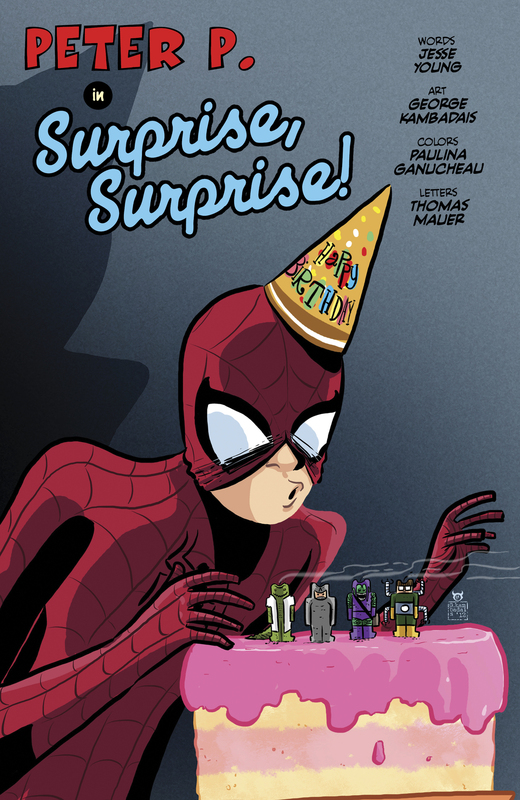 One morning while I was getting ready for work I had an idea for a running gag involving Spider-Man, this idea of a story centered around his birthday and when I thought about the "punchline" it made me laugh. I figured it was only funny to me but I shared with a friend and he liked the idea. I didn't really think to do anything with it, but decided to write it as a short, as a writing exercise. In the process of looking for an artist for my Western idea, I came across the amazing artist, George Kambadais. I reached out to him about a possible collaboration and when I asked what he was interested in drawing, he said "Super Heroes". I showed him the Spider-Man idea and he loved it and wanted to draw that. So we started working on the story and it quickly became clear that he was the right artist for this type of story and the pages he's done on this short I think are some of the best he's done. He's really taken his art to an incredible level. This guy SHOULD be drawing an actual Spider-Man book and if he was, THAT is a Spider-Man book I'd buy. George also brought on the incredible Paulina Ganucheau to do colors and she did an outstanding job. 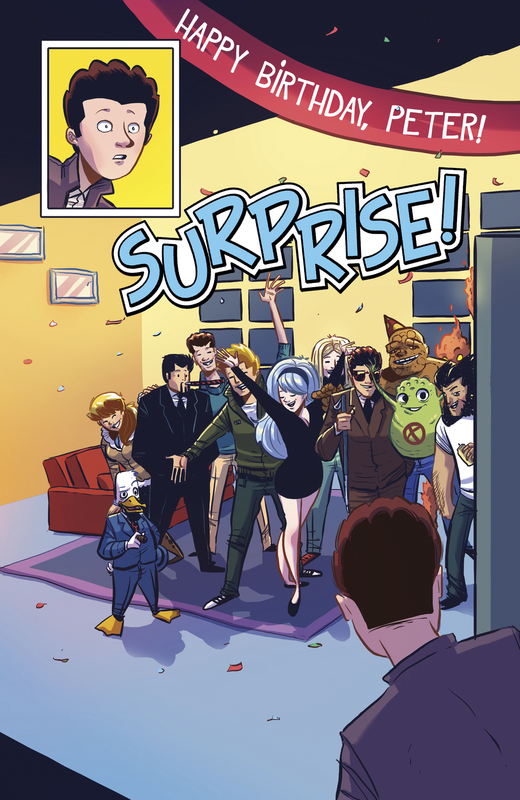 Her colors really bring George's art to life and it was so much fun getting new pages in from the both of them. Thomas has lettered the last few projects I've done and he does such a great job, it's a no brainer to keep having him do projects. Lettering is so important to having a good, professional looking comic and Thomas just knocks it out of the park every time, he's one of the best in the biz. So please check out the short below and we hope you like it. This story was a lot of fun to work on and we are all very proud of it. For those who know me, you know that I don't have any real desire to write for the Big 2. Not that it wouldn't be cool or something I'd like to do, it's just not why I got into comics. For some people, that's what they want to do, write Spider-Man, or Batman or whatever. For me, it's just not a priority. I want to write comics because I think it is an amazing medium, I love collaborating with incredibly talent artists who brings these words to life and I love crafting my own stories. All that being said, it's funny to me that the first two shorts I've posted have all been centered around characters from the Big 2. HA, go figure. This is in no way affiliated with Marvel, this was purely a writing exercise brought to life and just done for practice and fun.